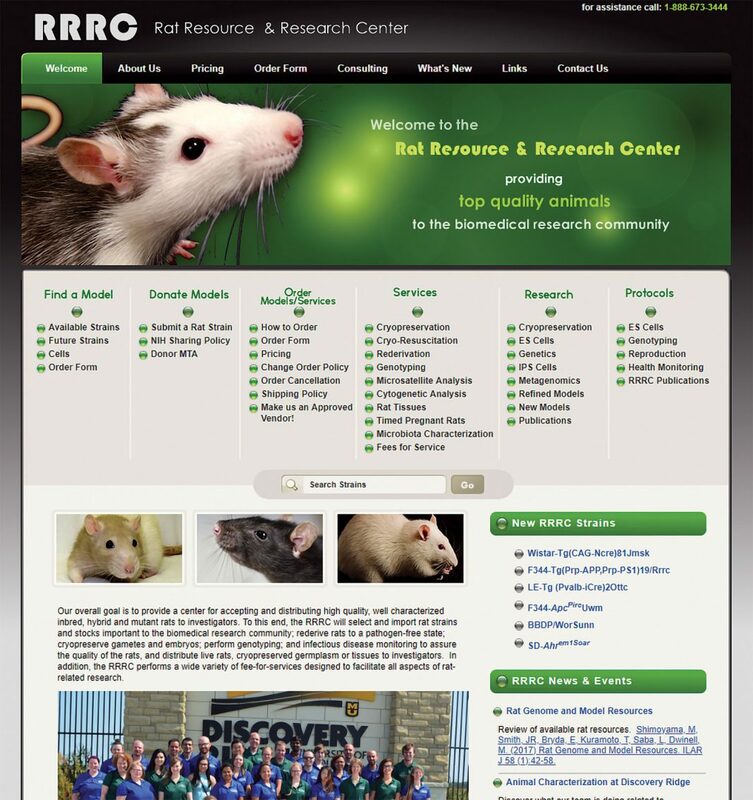 The Rat Resource & Research Center (RRRC), from the University of Missouri, is an essential resource for scientists who use the rat as their model organism. Users can search for available rat strains based on a number of categories, such as the specific gene targeted in a line. Information about each strain is provided, including a description of its phenotype, its background strain, and the donor institution. The website also makes it easy for investigators to donate a strain that they have developed. The RRRC can also perform several services for researchers, including cryopreservation or rederivation of a line, genotyping, and cytogenetic analysis. Protocols are also available for genotyping lines, monitoring the health of your rats, and maintaining embryonic stem cells. The website also provides a list of links to resources about maintaining rat colonies and to repositories for other model organisms. Overall, the Rat Resource & Research Center website is a great resource for scientists using rats in the lab.